LONDON, April 11, 2019 /PRNewswire/ -- Publicis Media today announced that Simon Davis has resigned from his role as chief executive officer of both Blue 449 and Spark Foundry in the UK. Davis, who was made chief executive of Blue 449 (formerly Walker Media) in 2010 and was recently promoted to take on the additional role as chief executive of Spark Foundry, is leaving the business. Sue Frogley, Chief Executive Officer, Publicis Media UK, said: "While I respect Simon's decision to leave I will miss his wise counsel and his acute business acumen. He has achieved so much at Blue 449 and I wish him the very best in his future endeavours." Lindsay Turner has been promoted to lead both agencies and is appointed to the Publicis Media UK board with immediate effect. She comes with a wealth of experience across the industry, eight of those at Blue 449 where she has managed a number of key client accounts, including the agency's founding client. Turner also oversaw the creation of Blue 449 Luxe – an expert and specialist luxury division. Turner, who will report to Frogley, will work with both brands' management teams to ensure greater collaboration between the two brands. Frogley added: "Lindsay is a proven operator who is a popular figure within the business and is greatly respected by colleagues and clients alike. I am looking forward to working more closely with Lindsay and her senior management team in leading our two agencies into a new era of success." Lindsay Turner, Blue 449 and Spark Foundry Chief Executive Officer, said: "I am thrilled to be taking on this role and working across an exciting roster of clients with some of media's greatest talent. The two agencies share an infectious entrepreneurial spirit and I believe will immediately deliver deeper capability to be the best possible business partner for clients to help them unlock new opportunities for growth. "On a personal note, my progression shows Publicis Media's commitment to fostering female talent within the organisation and I intend to continue to champion and further equality and diversity in the workplace." Last month, Publicis Media announced that in the UK both Blue 449 and Spark Foundry would work closer together under a unified leadership team. Lindsay Turner was promoted to managing director, Blue 449 in early 2018 having joined the agency in 2011. In her eight years with the agency Lindsay has held senior leadership roles and managed the agency's founding client (Dixons Carphone) and oversaw the Carphone Warehouse transition as it joined the agency. Lindsay also created and led the internal luxury division (Blue 449 Luxe) to ensure Blue 449's client's received an expert specialist service, focused on the categories unique needs. Still a devoted communications planner at heart Lindsay remains closely involved in client accounts. 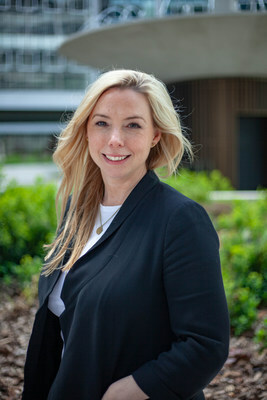 Lindsay started her career as a communications planner in 2004 at Mindshare where she worked across a variety of accounts, most notably ITV and Jaguar before joining Blue 449 (formerly Walker Media). Publicis Media is one of the four solutions hubs of Publicis Groupe ([Euronext Paris FR0000130577, CAC 40], alongside Publicis Communications, Publicis.Sapient and Publicis Health. Led by Steve King, CEO, Publicis Media and COO, Publicis Groupe, is comprised of Starcom, Zenith, Digitas, Spark Foundry and Performics, powered by digital-first, data-driven global practices that together deliver client value and business transformation. Publicis Media is committed to helping its clients navigate the modern media landscape and is present in more than 100 countries with over 23,500 employees worldwide.